Find an old world, vintage style mailbox for sale at The MailboxWorks. 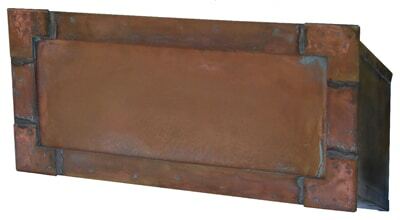 For a wall mount cast aluminum, brass, bronze or copper vintage mailbox, take a look at the Streetscape Manhattan mailbox, the Ecco 6, the Amco Victorian, or the Gaines Eagle, Gaines Classic or Gaines Maple Leaf vintage mailbox designs. 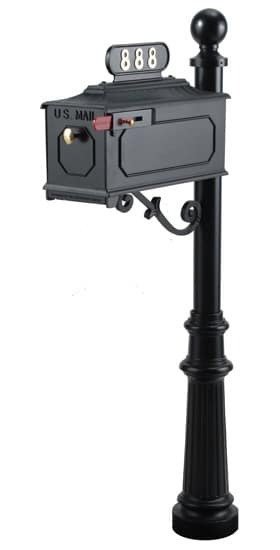 If you prefer a post mount Victorian style mailbox check out the Imperial 311, 119, 888 or Imperial 631 mailbox. 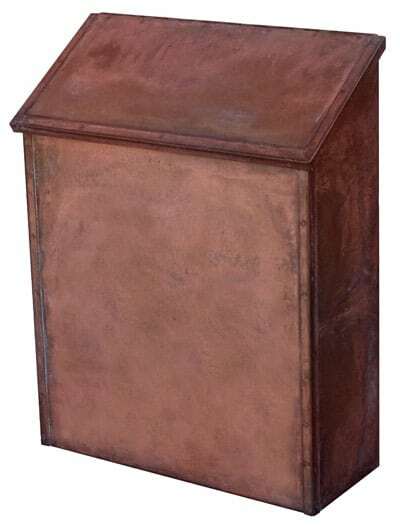 We also carry the Streetscape Westchester vintage mailboxes with post. Vintage design is all the rage today when it comes to decorating your home. 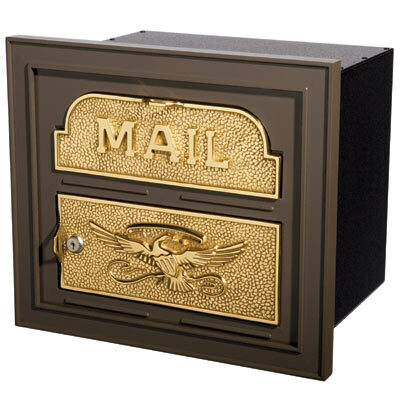 MailboxWorks’ vintage inspired mailboxes for home use are safe, secure and virtually maintenance free. 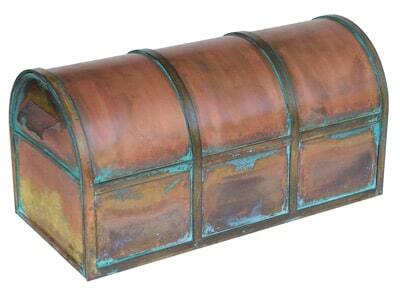 The old styled Amco vintage mailbox aims to transport your home to a different era. 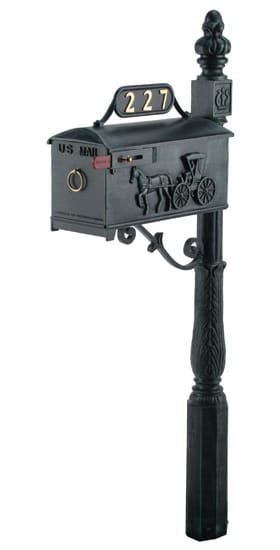 The Victorian pedestal or wall mount vintage mailbox features an elegant old school Pony Express figure and the colonial locking wall mount mailbox features charming engraved details. 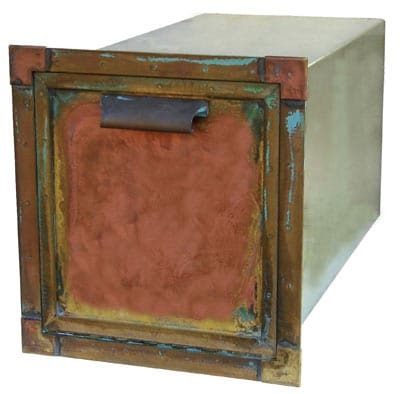 These stylish old fashioned mailboxes come in a variety of vintage finishes including black, bronze, patina, stone, stucco and white. 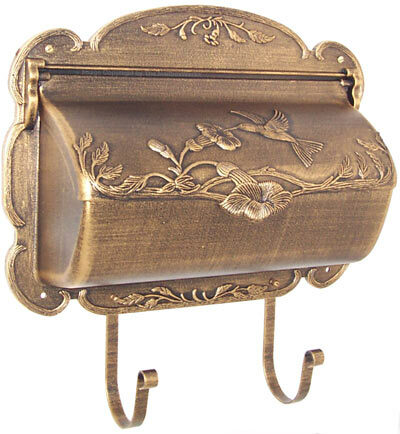 Streetscape Inc. is a California based residential mailbox manufacturer specializing in vintage solid brass mailboxes. 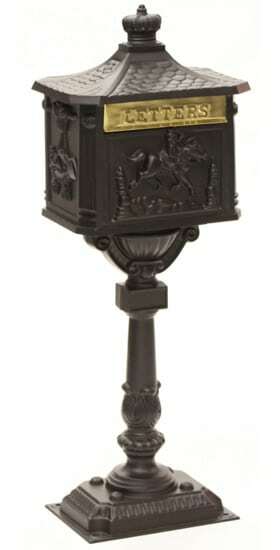 Each wall mount, recessed and post mount Streetscape vintage mailbox is adorned with ornate design features. Shop for the Streetscape Oxford, Manhattan, Huntington, Executive, Gateway and Courtyard mailbox online at The MailboxWorks. We also sell a number of antique mailbox posts by Streetscape including the Basic post, Newport post, Craftsman post and Capistrano post. 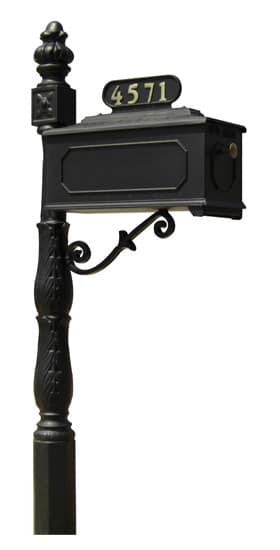 Ecco Victorian antique style mailboxes are designed for sophisticated homeowners seeking old world charm. 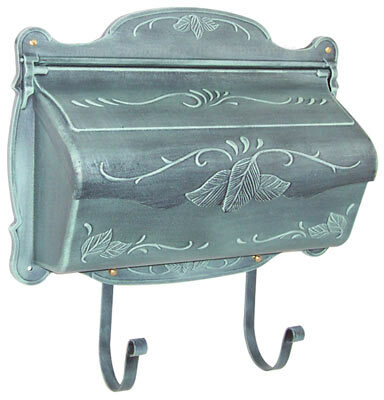 The wall mount Ecco 6 mailbox is made of recycled die cast aluminum and comes in brass, rust brown, green and bronze finishes. 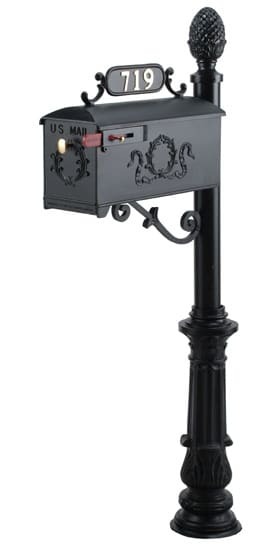 The stately Victorian Ecco 8 vintage mailbox tower stands 44” tall with elegant motifs on all four sides, designed for walk up, door side mail delivery. 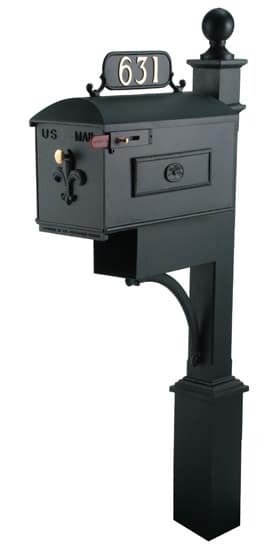 With vintage mailbox designs created to beautify America, Imperial Mailbox Systems manufactures five residential post mount mailbox styles: 119, 227, 311, 631 and 888. 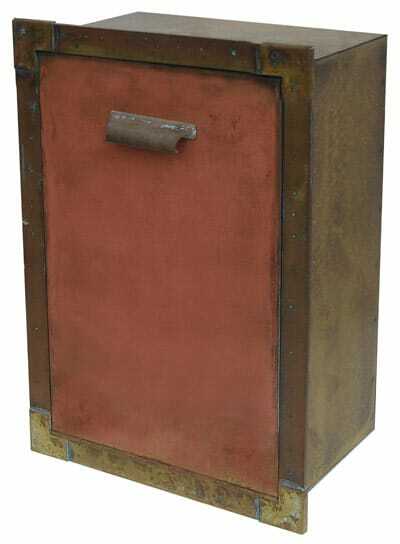 Common features to all these virtually maintenance free Imperial vintage mailboxes are the hand crafted posts, optional newspaper holders and area for adding your own brass house numbers. 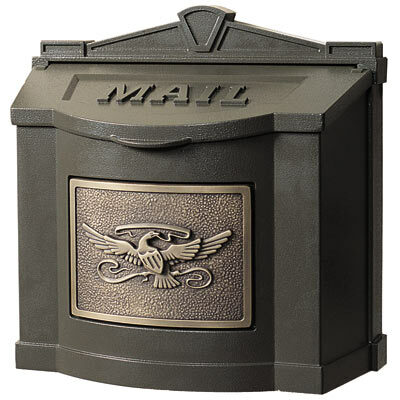 Shop the Imperial post mount mailbox selection and choose the best design and colored finishes for your home. 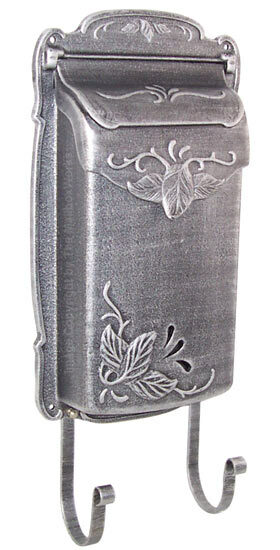 Intricate and elegant, Special Lite wall mount mailboxes come in a Floral vertical design and a Hummingbird design. 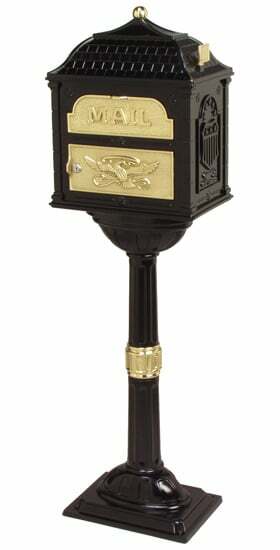 With convenient newspaper holders and 14 decorative color finishes to choose from these exquisite residential vintage mailboxes will bring the right amount of flair to your front door. 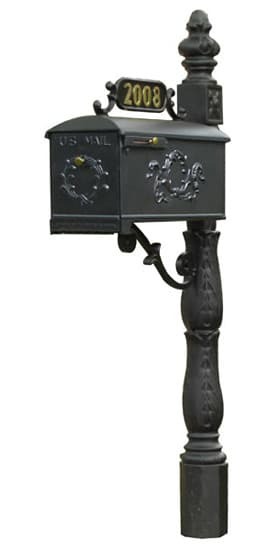 Traditional style and American patriotism come together in all of Gaines vintage inspired mailboxes. 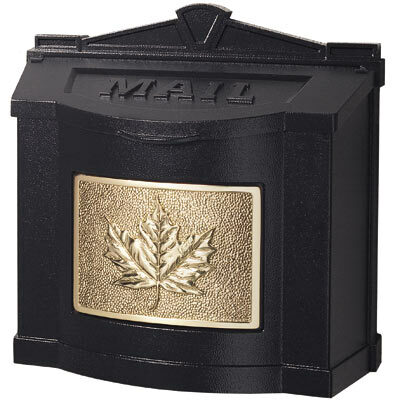 At The MailboxWorks you can shop from popular wall mount Gaines mailboxes with eagle or maple leaf or opt for a classic recessed vintage mailbox or classic pedestal mailbox. 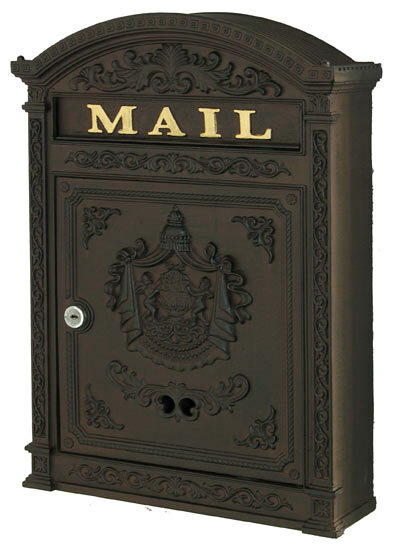 The less common QualArc vintage mailboxes are the perfect way to achieve an old fashioned antique style while using a column mount mailbox system. At The MailboxWorks you can order both the Qualarc Manchester mailbox and the stucco column. 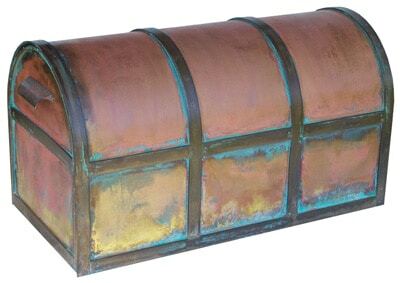 Don’t forget about checking out our great selection of brass and bronze mailboxes which also offer old world vintage style. 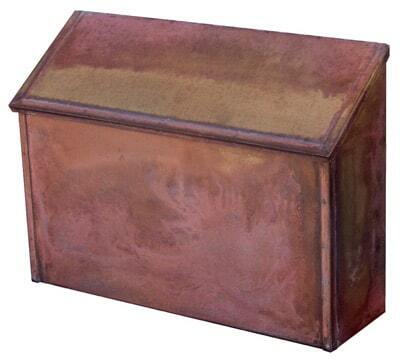 Ask us a Question about vintage and antique style mailboxes.